The MaxxECU RACE adapter for Audi with ME 7.5 ECUs can only be used with MaxxECU RACE. Note: No auto transmission support on any model! Note: Not all ME 7.5 have CAN pinned in the ODB connector for ODBII functionality. Stock ECU is located in engine bay on driver side or under the windshield plastic cover, depends on which vehicle you have. 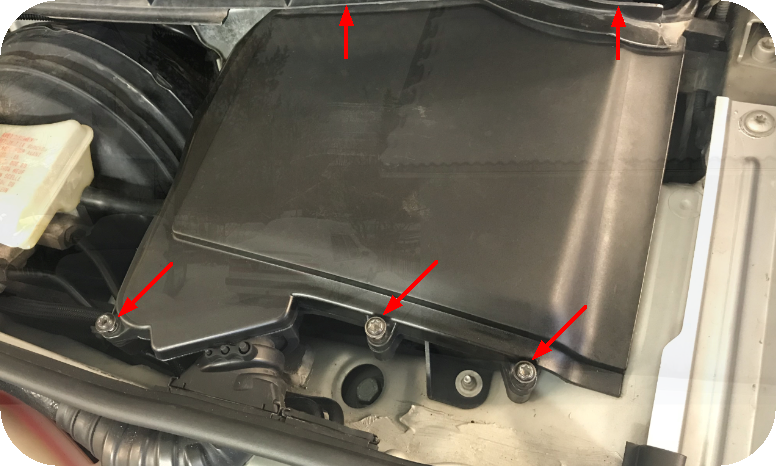 1.Remove the plastic guard where the ECU is located. 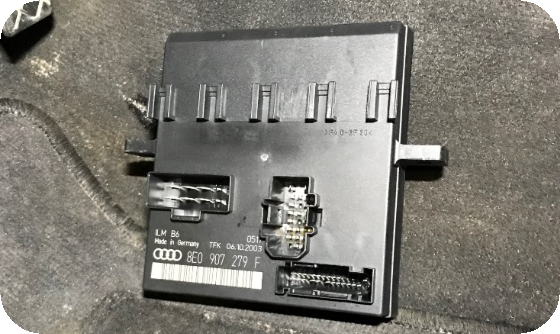 3.Remove and disconnect stock ECU from vehicle harness. 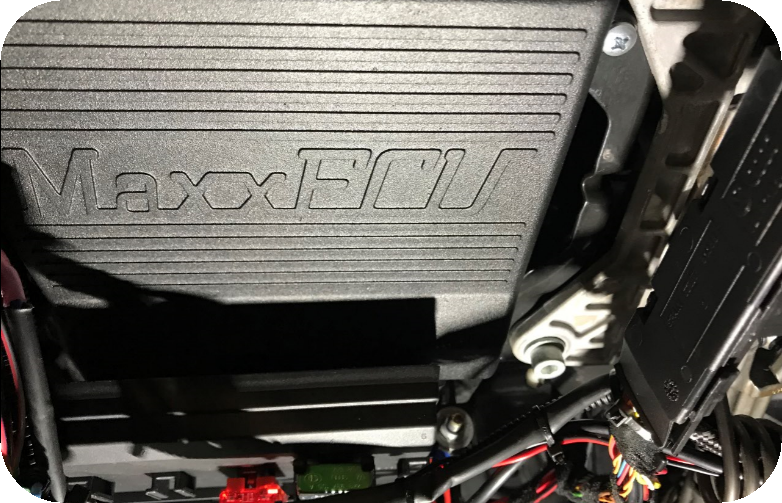 5.Route the included MaxxECU MAP-sensor hose to the intake manifold and connect into the MaxxECU. 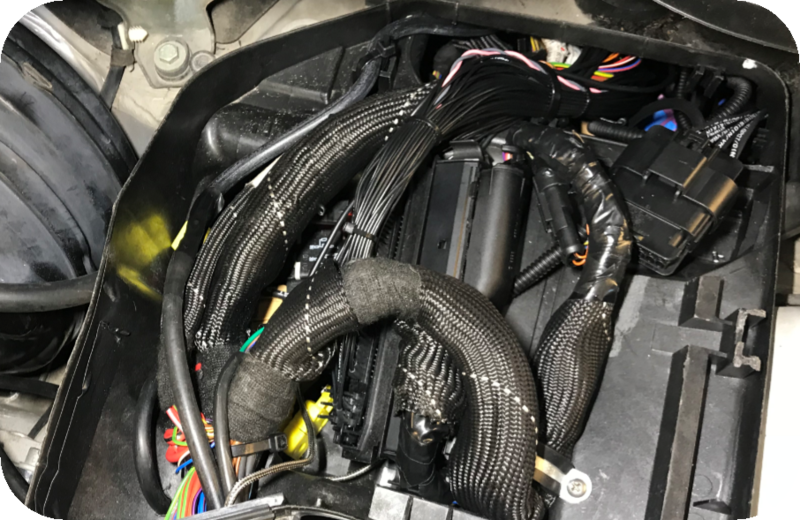 6.Route wide band lambda cables to exhaust system, install lambda sensor in exhaust and wire the lambda sensor as instructed below if your vehicle not have a stock LSU sensor(s) mounted from factory (see vehicle cover list on the top if this page). Note: MaxxECU RACE plugin ECU kit, might not fit into the standard plastic ECU box. Make sure to mount the ECU away from heat or water! Remove the plastic cover where the stock ECU is located, 5pcs T27 screws. Remove the left side fuse box cover. Remove the above fuse and relay central, fastened with 2pcs 10mm screws. The removed fuse and relay central. MaxxECU RACE fits perfectly between the fuse and relay central and the steering column. Some modification needs to be done to a plastic relay holder and needs to be moved away. 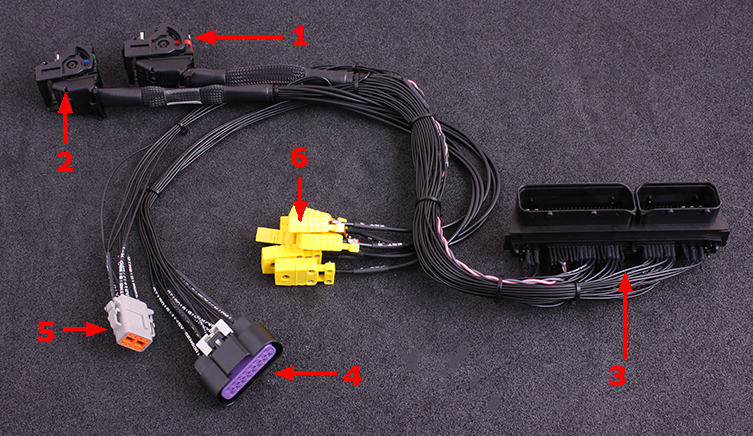 Route the adapter harness thru the passage down to MaxxECU RACE. 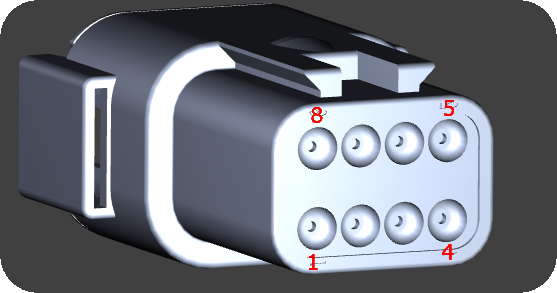 Note: Please install the CMC connectors in MaxxECU RACE before securing the RACE unit. Preferable route all extra cables within stock rubber bushings. Seen from the wire side of the pre-wired connector. 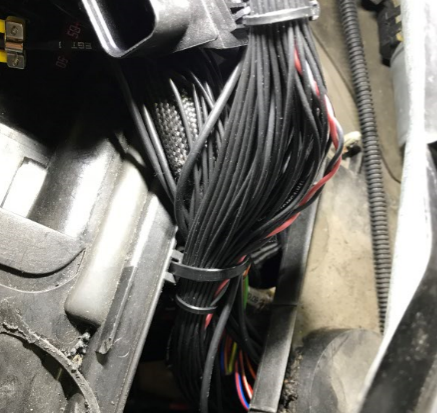 Note: If you vehicle is equipped with a stock LSU 4.2 sensor, do not connect a external here, see vehicle cover list above. Note: Pinout is from the wire side of the pre-wired cable harness.